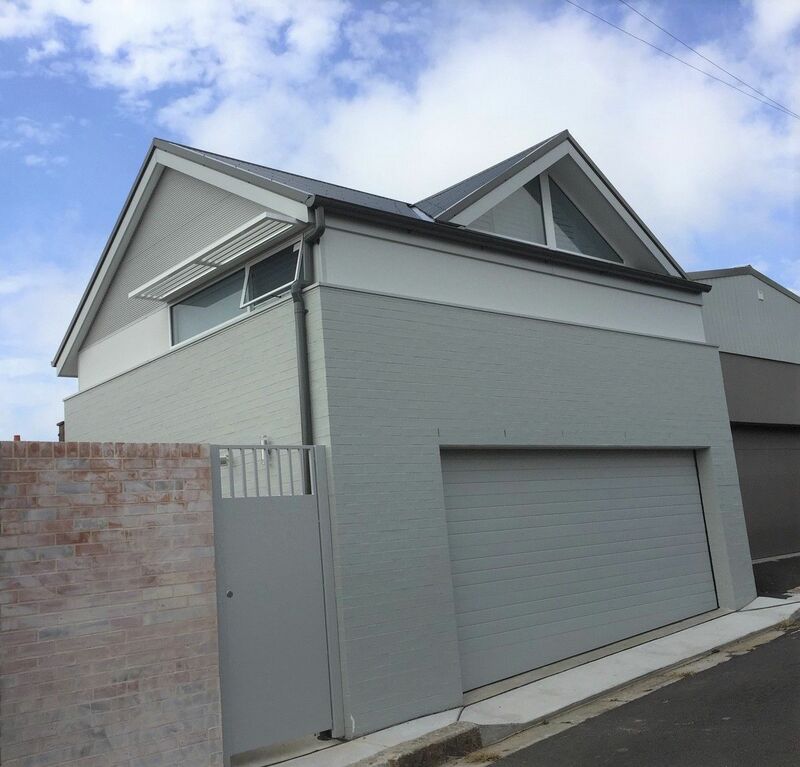 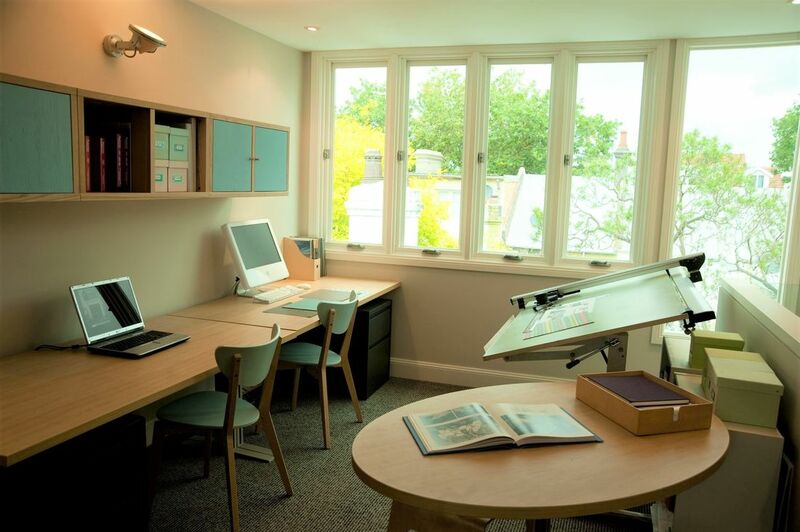 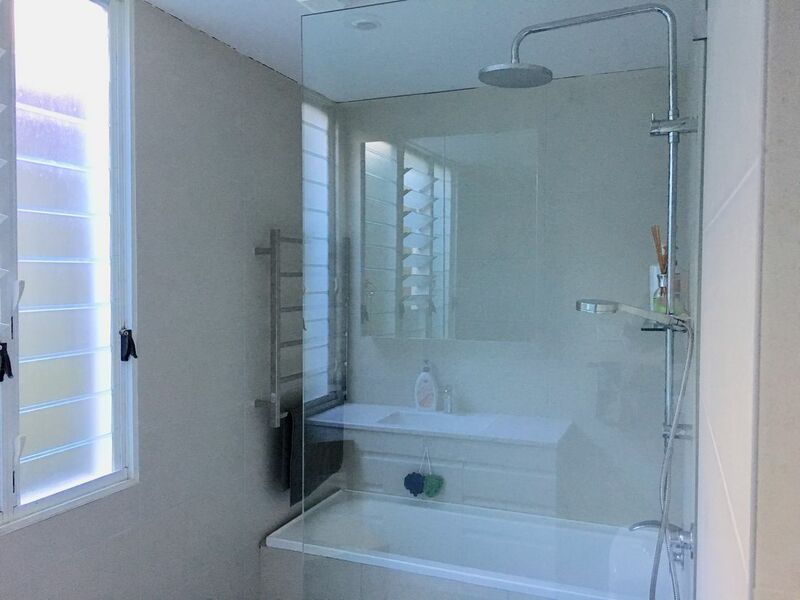 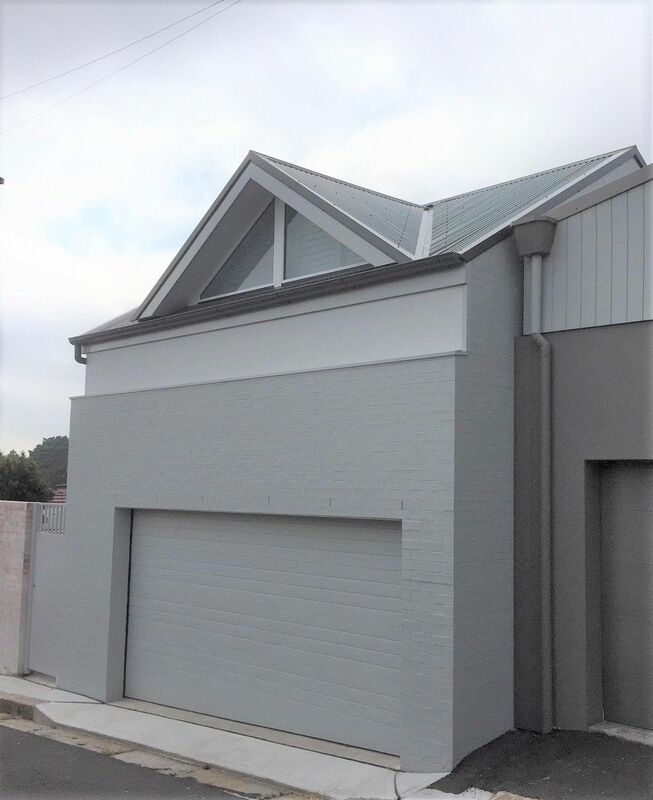 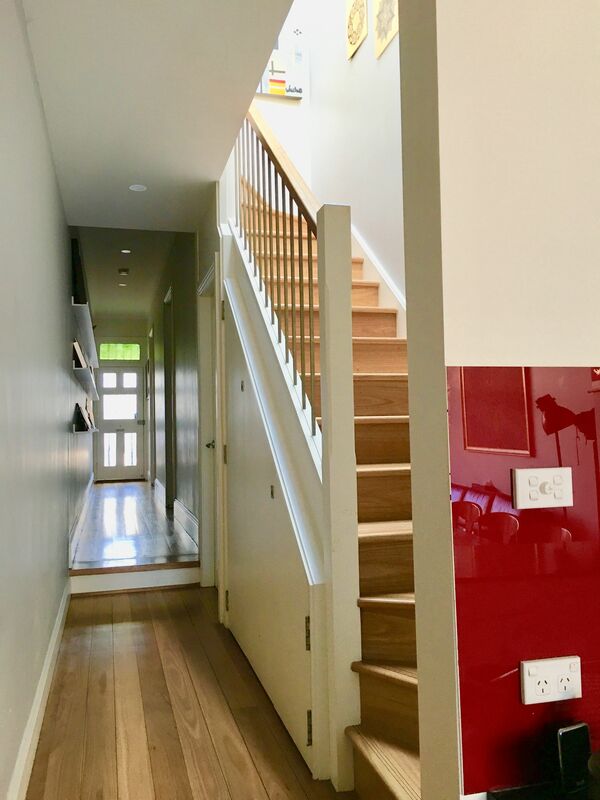 Our clients from a previous garage studio renovation in Centennial Park called on us to build them another garage studio after they moved to Stanmore. 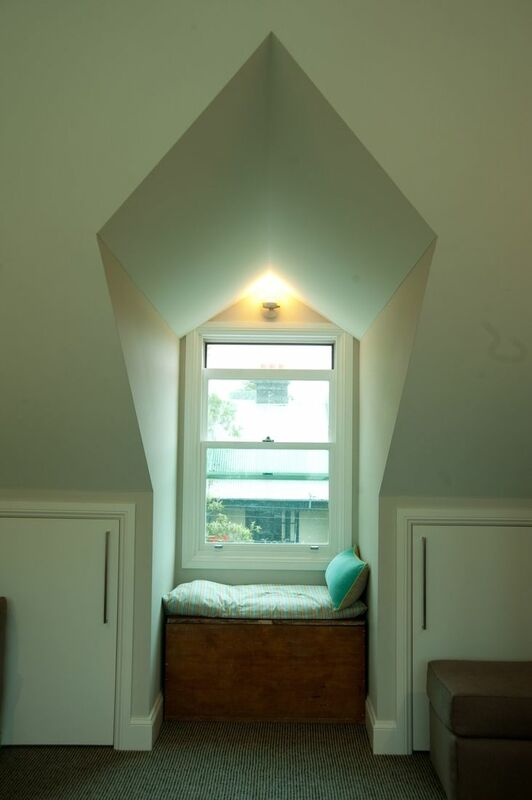 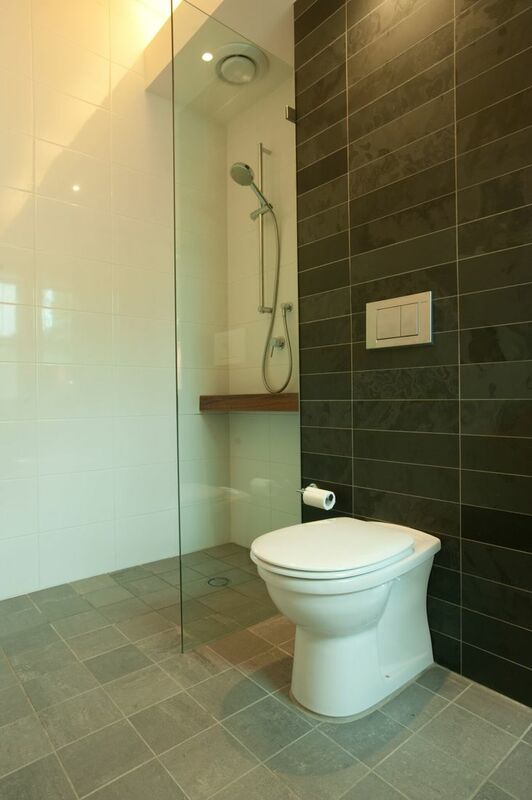 A different design to the previous one but just as stylish. 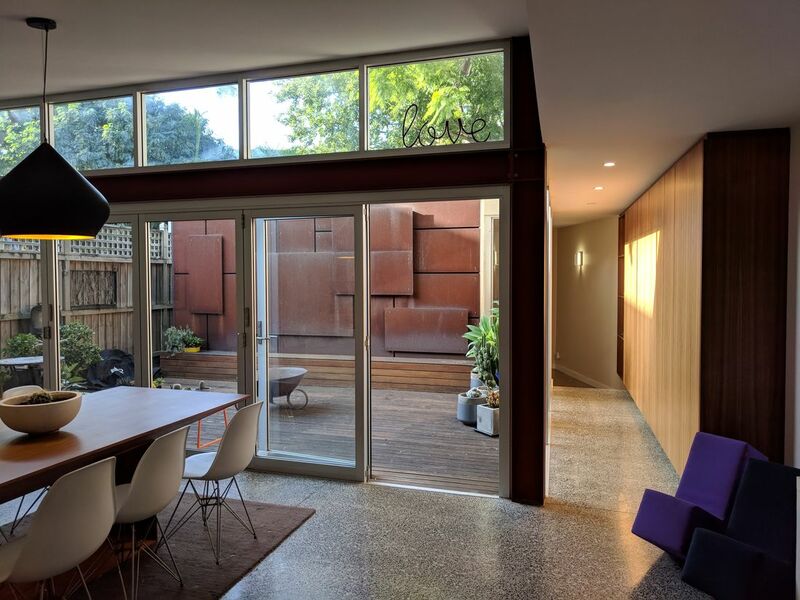 A full remodel and extension of an old workers cottage, this house is now a large bright home based around a sun-filled courtyard with a Corten steel feature wall. 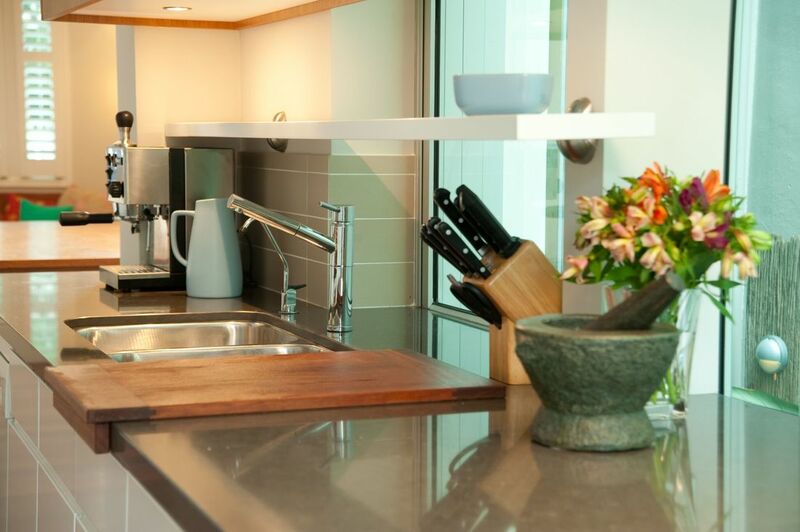 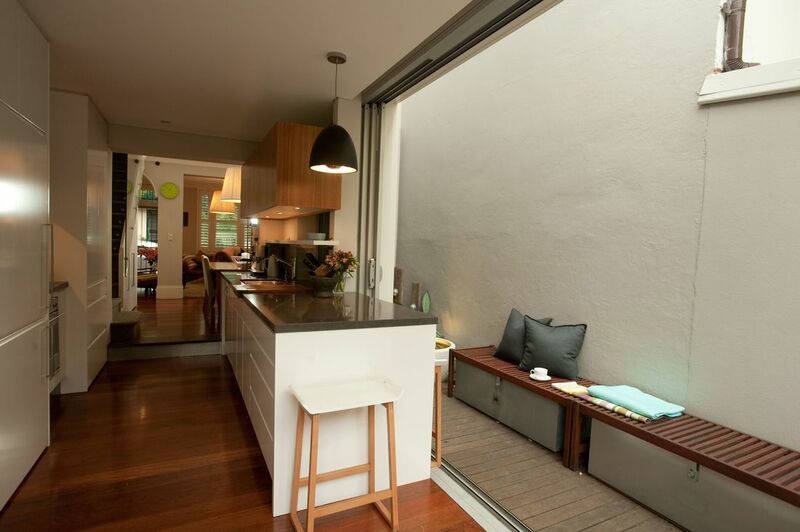 This home has polished concrete floors with underfloor heating and bespoke timber joinery. 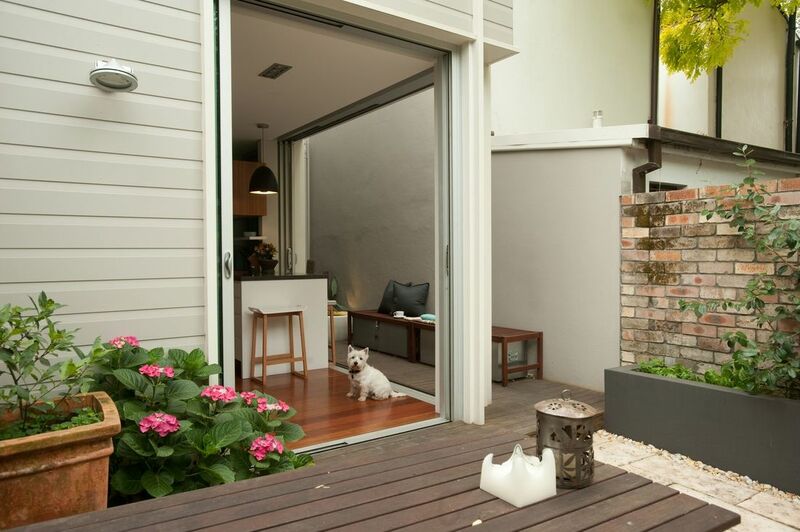 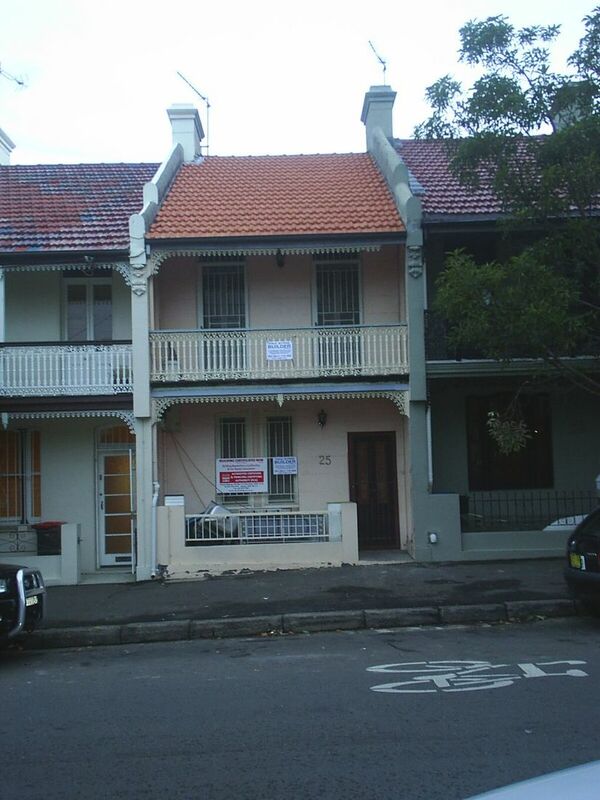 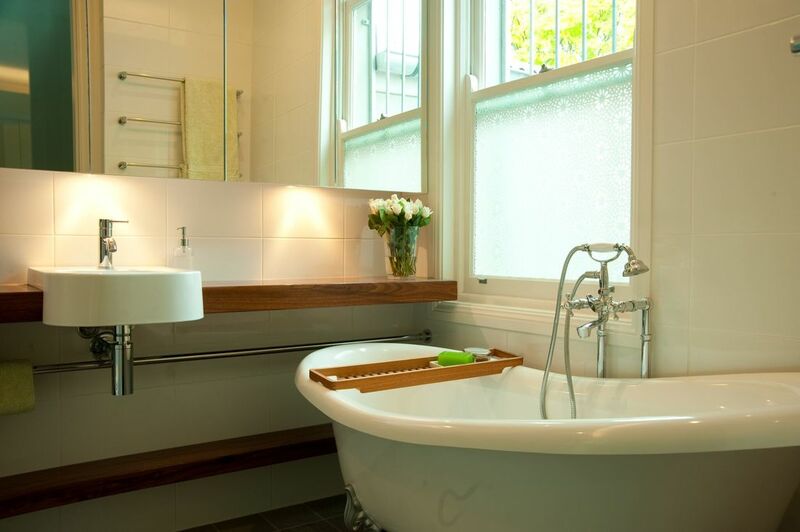 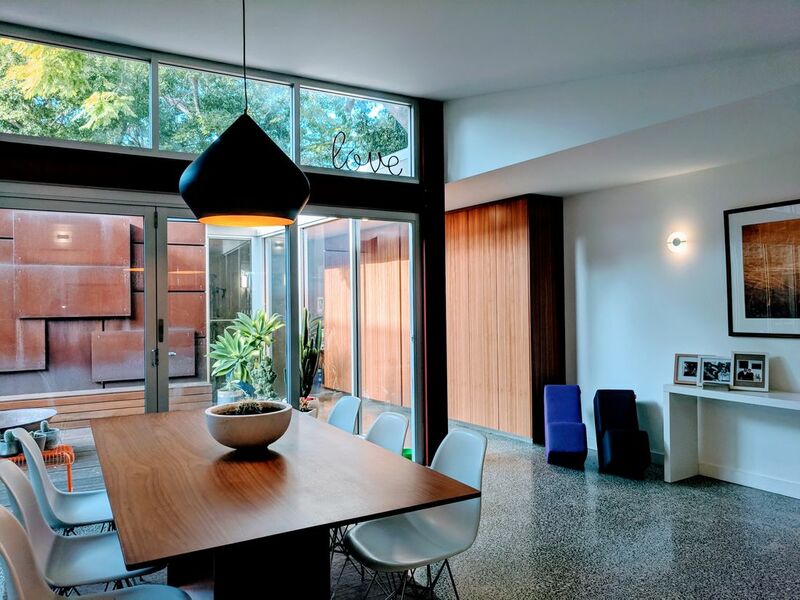 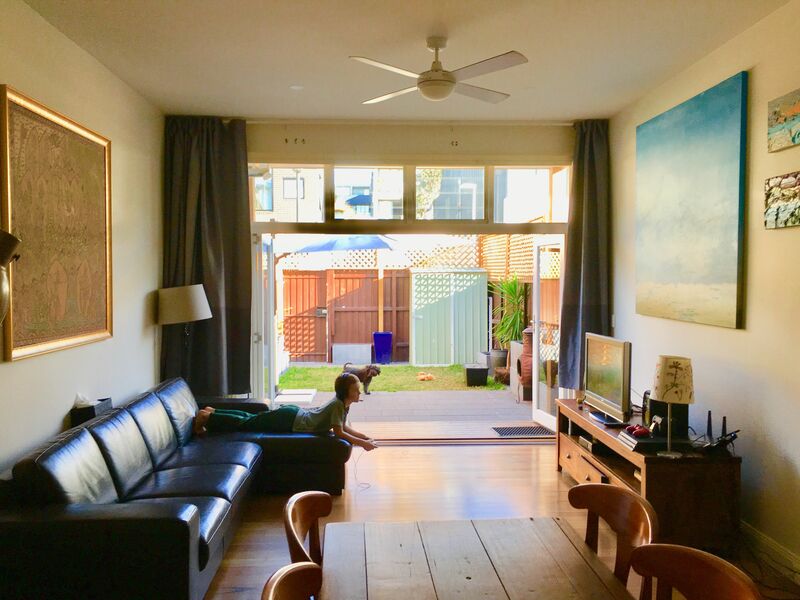 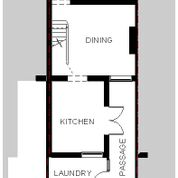 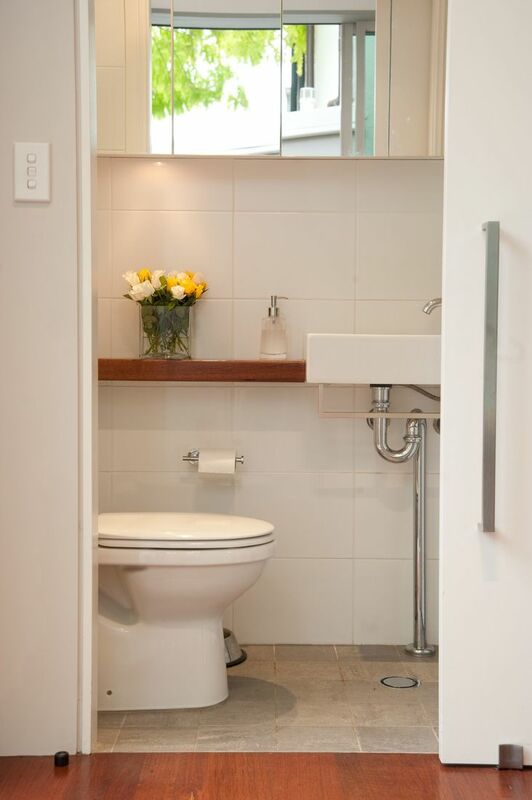 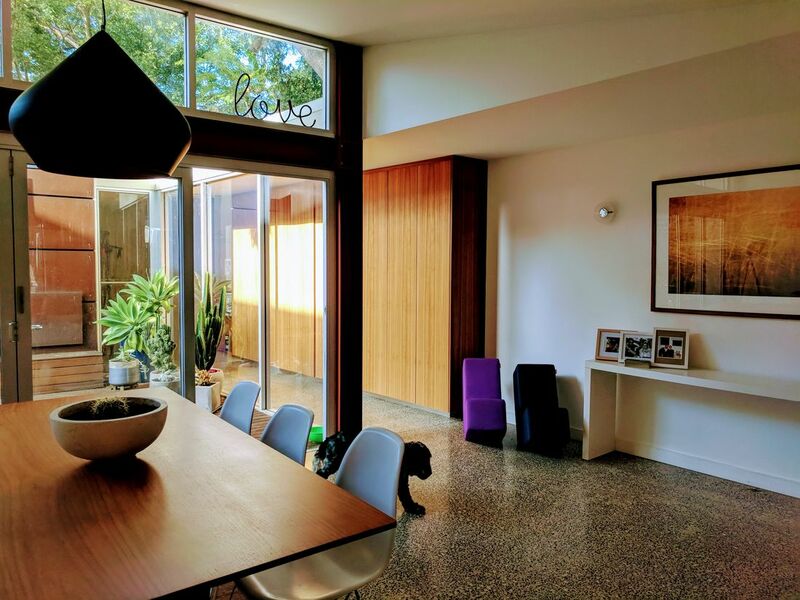 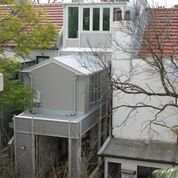 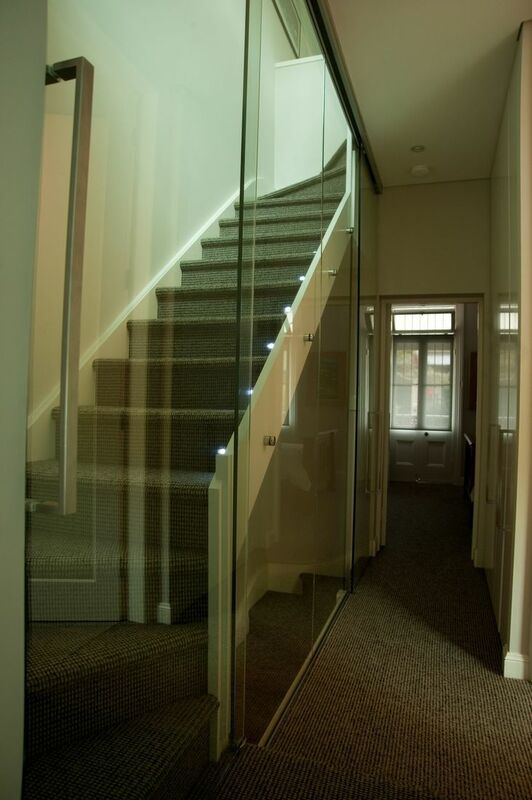 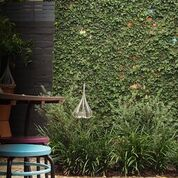 The neighbour of our other Erskineville terrace, this was a full renovation, adding new 3 bedrooms and a bath upstairs, and renovating and extending the living area downstairs out to the beautiful bi-fold doors. 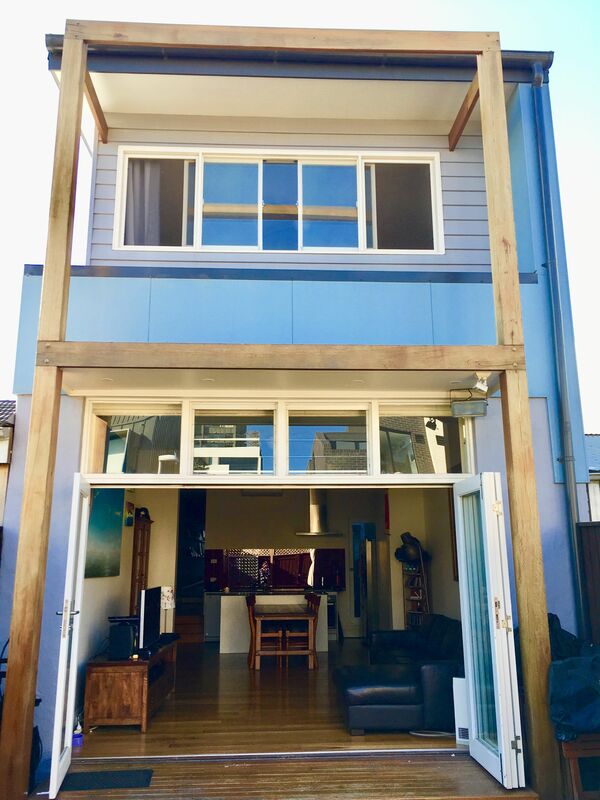 Featuring cool timber posts on the rear exterior and timber flooring and accents inside. 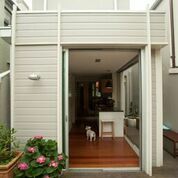 A full remodel of a old terrace, extending out and up turning into a modern home but keeping the beautiful terrace heritage. 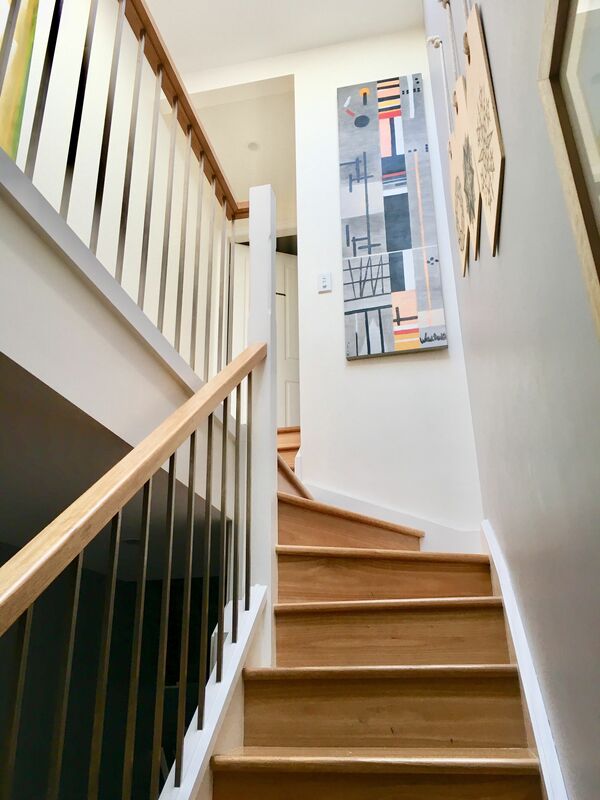 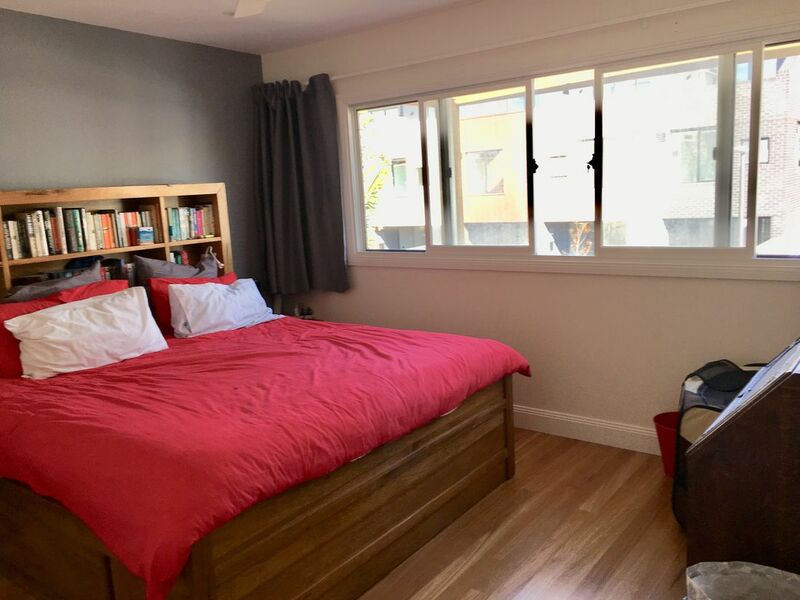 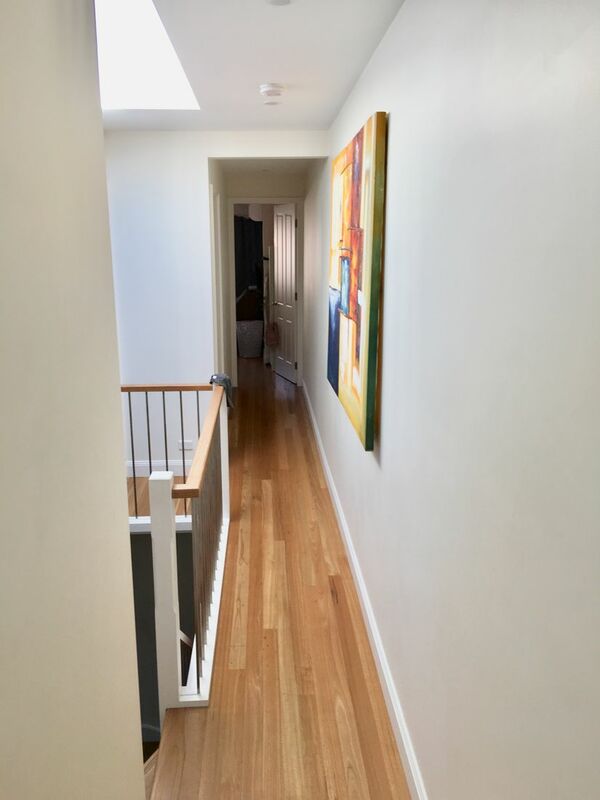 Featuring beautiful timber accents in the bathrooms, glass enclosed stairs leading to the home office upstairs, and a trendy galley style kitchen.